In this project, we study the returns from formal education and general cognitive competencies in three dimensions which play an important role in the life of adults and their social environment and are additionally highly correlated i.e. subjective well-being, social capital as well as social and political participation. The analysis will be mainly based on data from the Adult Cohort of the National Educational Panel Study (NEPS Starting Cohort 6). 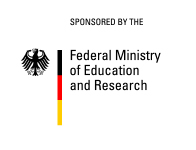 In addition, to confirm the results, PIAAC (Programme for the International Assessment of Adult Competencies) und PIAAC-L data will be used (PIAAC-L continues the work of PIAAC in a German context). The project is a part of a joint project with Prof. Dr. Beatrice Rammstedt and Clemens Lechner (GESIS). Beside the returns to education, the correlation between education and personality in childhood and adult age will be investigated. The two projects are connected in many ways i.e. by using a common analytical frame and the same data, by analysis with the same outcome variables but from a different perspective, and by writing joint publications.